Personalities from the past created a television heritage well worth documenting for references by present day students and researchers of the future. 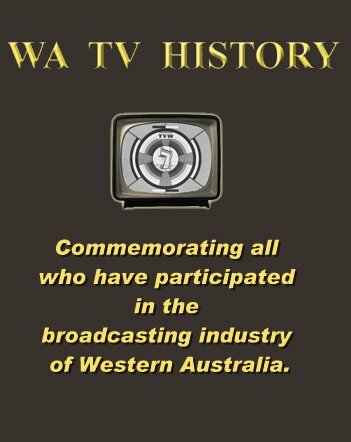 Perth television’s first variety show was Spotlight, which was broadcast on the opening night of Channel Seven, Friday 16th October, 1959. It was a half hour live show written and produced by Coralie Condon, directed by Beverly Gledhill and compered by Phillip Edgley.